SAN ANTONIO - A man was arrested on a charge of retaliation after authorities said he threatened to shoot a detective with the San Antonio Police Department while he was assisting a tenant to retrieve some belongings from a home. The man is identified in an arrest affidavit as Marcos Sanchez, 42. The detective said he was at a West Side home in the 140 block of Woley Drive on Monday assisting the tenant when Sanchez came out and told him, "I'm going to get a gun and f****** blast you right now." According to the affidavit, Sanchez is the landlord of the home. 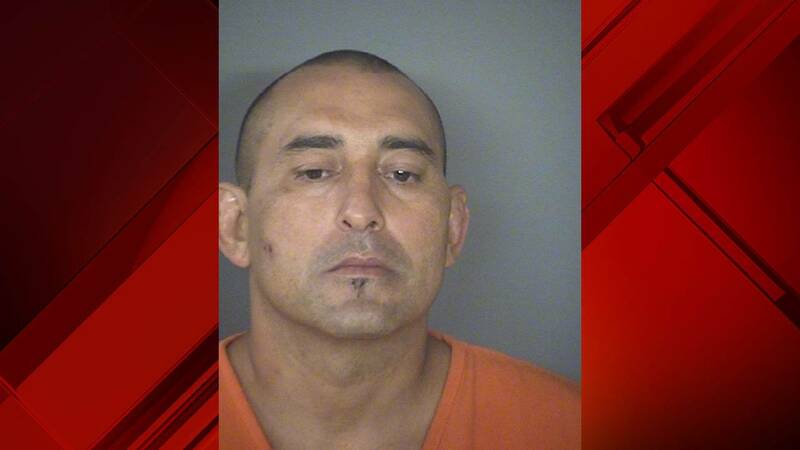 After threatening the SAPD detective, Sanchez then ran inside his home and locked himself in. He later yelled at the detective through a window, "Didn't I warn you? Now I'm going to shoot you in the f****** face!" The affidavit said the verbal threats were all recorded on the detective's body camera and he was later able to identify Sanchez through a photo lineup. Sanchez is now being charged with retaliation, a third-degree felony. According to online records, Sanchez is also being charged on several other felonies. His bail has been set at $150,800.